How a Statemant of Work (SOW) becomes a budget. How to monitor the financials and integrate it to an accounting system. This article will make you a champion of controlling project budgets. It is relevant for everyone - also those whom don't work at a digital agency or IT consultancy, but is a part of an Enterprise, e.g. in marketing, running projects, etc. The Forecast philosophy is that every project should run with P&L in mind (profit & loss) - also the internal ones. See this blog post on how internal projects can run as P&L projects. Please Note: This guide is written for permission levels of Controller and Admin. Setting up your account fundamentals, i.e. rate cards & cost on resources. The rate cards is what determine how a resource should bill a client. You might have seniority structure to your rates, e.g. Jr. Developer and Sr. Developer. 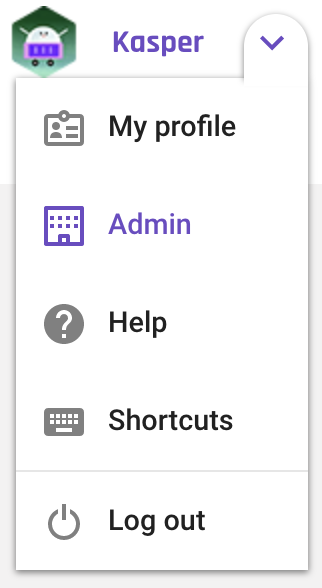 We need to make sure that you have the roles that are relevant for you in the system; so let's go to the Admin panel. Please Note: If you are a controller, you don't not have access to creating Roles. 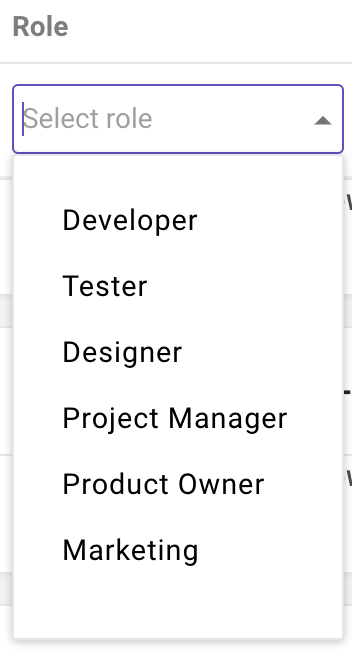 This will show you the list of Roles you currently have in your company. Editing this to match your company is pretty straightforward. With Roles in place let's make sure rates are as they should be. Nature has it that different clients have different rates. In Forecast you can have as many rate cards as you want. You create them in the administration under the rate cards tab. The list shows your all of your rate cards. You can choose to make one of them your default rate card. All new projects will have the Default rate card as default. You can always switch the rate card for the individual project. We encourage you to have a good naming practice in order to help yourself in the future, e.g. [CLIENT NAME - PERIOD VALID - MISC]. To learn more about creating a rate card as a Controller, click here. ​Forecast lets you set a cost on each individual resource. You can choose to do this in two ways. The ultra correct PSA approach - Choose Forecast's Enterprise plan and let Forecast take employee cost from your accounting system plus an admin overhead and divide that by the person working hours in each individual month. The good enough approach for most - By using a light ABC (Activity based costing) method, where you take your employees' salary + benefits + average overhead and divide this by an average FTE full months hours, e.g. 150 hours. The Scope on the individual project is where everything starts. This is also the first place in a project's lifecycle where you can leverage the AI engine. Role - The role is used to associate the work needed done with a cost taken from the associated rate card. We know that cards might have multiple roles working on them, however it is most likely that one of the roles will be the primary resource, reporting hours on the cards (doing work). This is the one you should choose as the role. The role is used to generate the initial budget, and this does not mean that everything that gets time reported on the cards go in under the rate associated with the role of the card. In Forecast cost and rate always follows a person, not a card - except when cards have been marked as non-billable, since this overrules the person's rate. ​A Designer can always report time on a card marked as a developer card. In this case the Designer's personal cost will be put on the card, as will the external rate the the Designer will bill the client for the work done on the project. More on this when I elaborate on the different metrics in the budget. Low and high - It dosen't matter if you estimate by using storypoints or hours, you should always leverage the power of inputting a low and a high estimate. The benefit is that you tell the AI engine how much uncertainty you think that goes into the card, i.e. the project. This has a lot to say when you later can assess the risk in your project. It's also essential information for those of you, that live by selling and delivering projects on time, on scope and on budget. It lets agencies take calculated risk decisions in the proposal stage of the project. More on this later. The predicted forecast is a result of your entered lows and highs, the labels, roles and people attached to each card. The AI engine takes all of this into account combined with your previous history in terms of projects and estimates. Here, the estimated price comes into play as well, since this value is based on the forecast. The last step in scoping is to approve by setting a checkmark for each card, or approve all at the bottom to accept the full milestone. This is when the milestone is ready to get moving, and the cards will be moved to the workflow automatically. The process of scoping your projects into milestones is closely related to the project budget as well. As mentioned earlier, the data accumulated from your entered estimates, the forecast and in general the work of the AI engine, does all go together and predicts the time and thereby budget of your projects. The budget is actually set up automatically based on your scoping and rate cards. It's also updated in real-time, and will thus reflect the most recent changes. If you have a fixed budget for your project, you can enter it in the box as shown above, and it will add the horizontal red line on your budget and adjust the remaining values. Thereby you always have a visual and data specific view on your spend and remaining funds. If you dig deeper, i.e. scroll a bit, you'll see different sections of your budget. These are the milestones of your project. Here you can expand each, and view more details about the cards and data for each. In addition to your project budget, the insights section of Forecast also helps you get an overview and perspective on your budgets, and how each of your projects are progressing. In fact, you can customize your reports to your needs. You can create as many as you want for both internal and external use, and the categories span over projects, people, business and the portfolio. If you still have some questions about how this whole thing works, then we have a quite comprehensive Help Center, else we're always ready for a chat with you directly through the chat button in the lower right corner of your screen. You're always welcome!